Cryptocurrencies have been in the market since quite a while now. 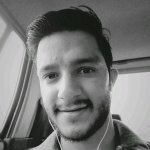 While the crypto space is just as exciting as it used to be before, there is no harm in adding more spice to it. To capitulate this opportunity, the finance world introduced the choice of trading in futures and derivatives in the crypto segment. One such platform who took up this niche market of trading in the futures and derivatives of cryptos is the Delta Exchange. 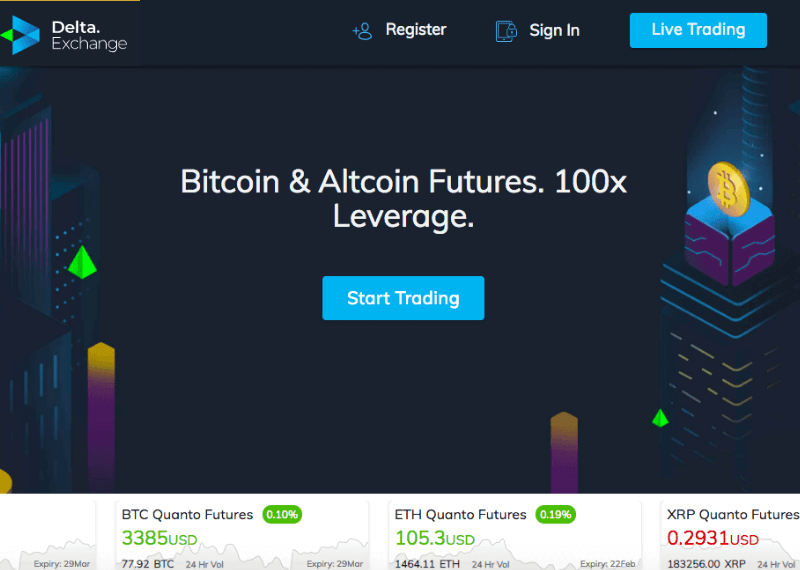 The exchange allows you to trade crypto futures with upto 100x leverage. To make matters easy, one can even trade on leverage and margins so as to take higher exposure with minimum investment. So what is Delta Exchange? Started in the year 2018, Delta Exchange is a platform that is trying to bridge the gap between the cryptocurrency market and the traders looking to trade in the futures segment and make the most of their money. With a highly qualified team and the top of the game advisors, this platform will definitely not disappoint you. To know more about their founders and team, click here. The Exchange is extremely user friendly and easy to use. It ensures there is liquidity 24×7 ensuring you always have an entry and exit point for your trade. What You Can Trade On Delta Exchange (Trading Pairs)? While Delta Exchange only lets you deposit BTC into your wallet, you can trade on quite a few contracts on this platform. Delta Exchange recently launched Quanto futures, where the settlement and margining is done in Stablecoin i.e. USDC. 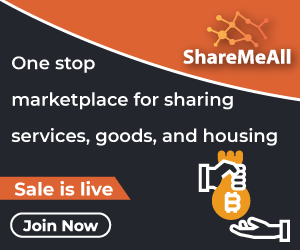 This is something which is not available on any exchange and certainly gives the Eexchange an advantage over others. Once you have decided the contract you can start trading using Delta Exchange trading terminal. You need to convert your BTC into USDC using their currency converter to trade Quanto products. How to Join Delta Exchange (Sign Up Process)? Now that you have read all the exciting features Delta Exchange provides and do not want to miss out on the chance to trade or stay in the game, you might be wondering what the process is to sign up. Surprising to hear, but the process to sign up is easier than using the platform. The entire process can happen in under 2-minutes. Once you get onto the website homepage, you will find the sign-up option. On clicking on it, it requires a few personal details like Name and Email ID. Once done, you will receive a verification email. Verify and Voila! You are done with the process of signing up. Now all you need to do is deposits BTC into your wallet, which we’re going to cover in just a bit. Depositing BTC on Delta is an easy process. While the charges for deposits are at no cost there are minimal charges for withdrawing BTC on the exchange. The table below explains the costs incurred while withdrawing BTC from Delta Exchange. Withdrawals are processed with a manual review once every 24 hrs, between 12 pm – 3 pm UTC. Any withdrawal request received after 11 am UTC will be processed the next day. Large withdrawals may require further KYC. Once you have logged in, the trading terminal of Delta Exchange is very intuitive and easy to use. There is a live counter where you can see the top bids and the top asks. Along with this, you can also see the margin required, leverage and initial investment. The counter is a 24×7 counter and hence you will always find liquidity. Placing orders follow the simple technique that is followed worldwide. Once you have decided what futures you want to trade it, you can click on the particular contract and choose to either buy/sell. Delta Exchange offers one of the lowest fees as compared to other exchange offering crypto futures. You can find more details about the transaction fees at Delta Exchange by following this link. One of the biggest advantage that the exchange offers is their referral program. Having a strong referral program not only ensures new users but also ensures the existing ones continue to keep using their platform. 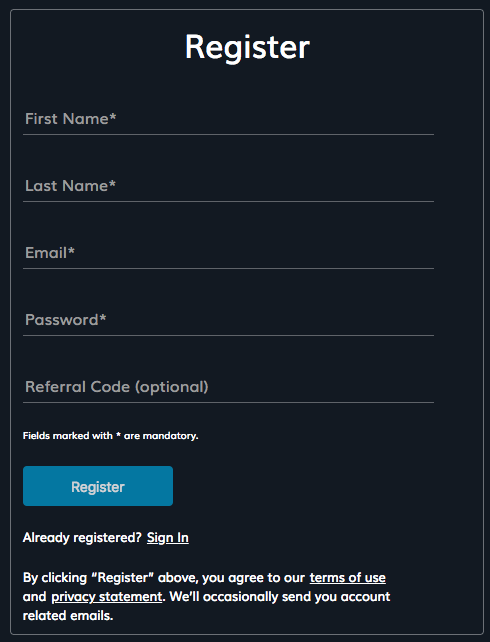 Delta Exchange has a strong referral program that provides 25% for 1 year and 10% for lifetime on in commissions of your referral. The process is easy and can be done through means of social media. However, like every referral program, there are a few rules one needs to follow. Read more about Delta Exchange referral program. Now that most of your questions have been answered, you can create your account and start trading crypto futures with upto 100x leverage. Just ensure, you have enough knowledge about the financial market, leverage trading and a knack to read basic technical charts. Once you have this knowledge, your road to making money on cryptocurrency will become easier through Delta Exchange.